For a while now, I’ve been using dated placemats, and have longed for something more befitting of my interior design vision. After scouring the dining sections of most homeware shops and finding nothing that fitted the bill, I decided to create my own. The best part of this tutorial is that not only can you create something that fits perfectly with your decor, but you can change it up every time you redecorate or get bored! This is a simple DIY, but does require some patience and a gentle touch. 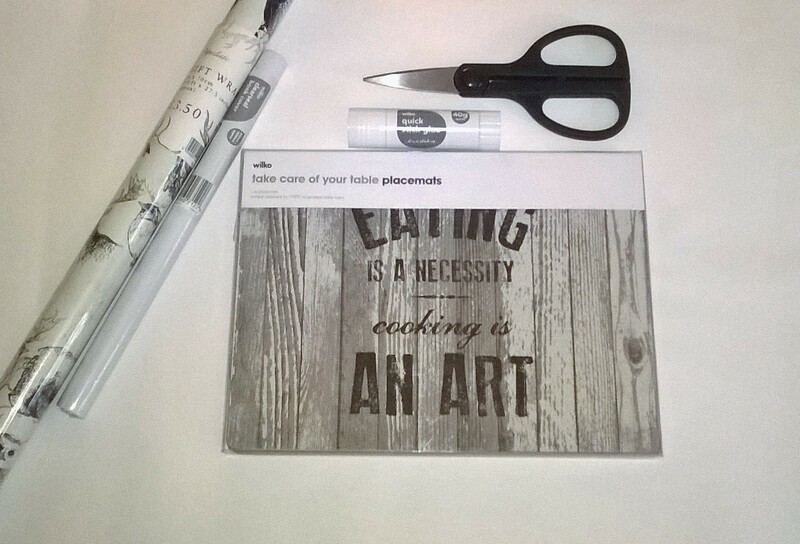 Making sure that your placemat is clean and dry, cover the surface with glue. Be sure to pay extra attention to the corners and edges. 2. 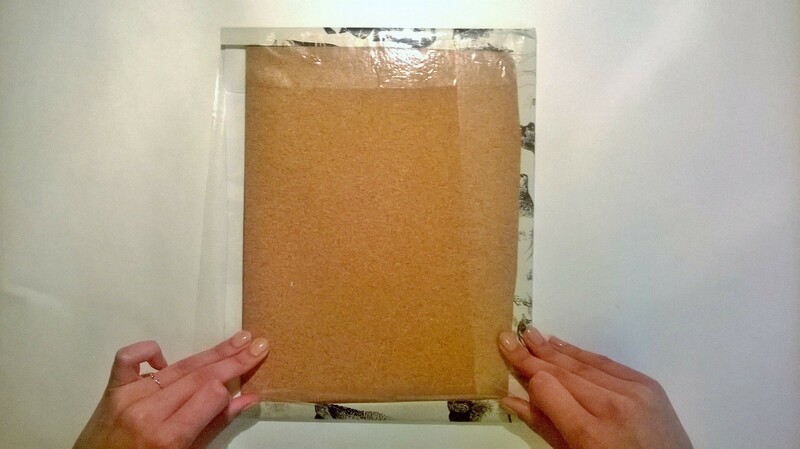 Cover your glued placemat with wrapping paper. 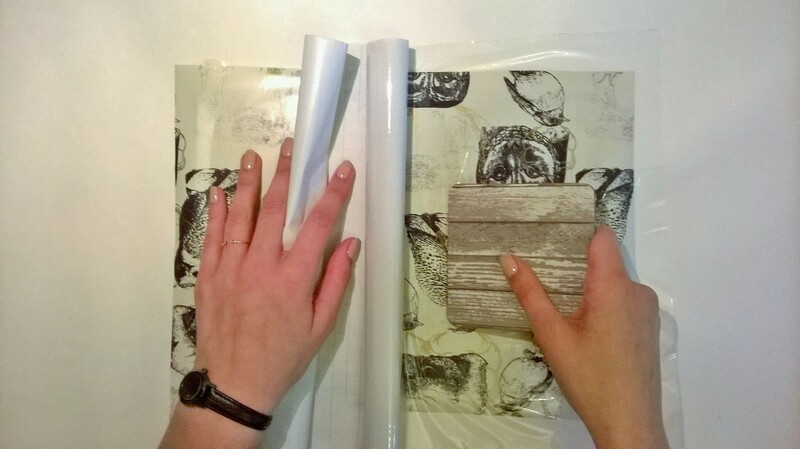 You may find it easier to pre-cut the wrapping paper (if doing so, leave a margin so the paper hangs over the placemat’s edges – this will ensure a clean finish later). I rolled my wrapping paper and used a coaster to smooth it down slowly and avoid creases. NB. 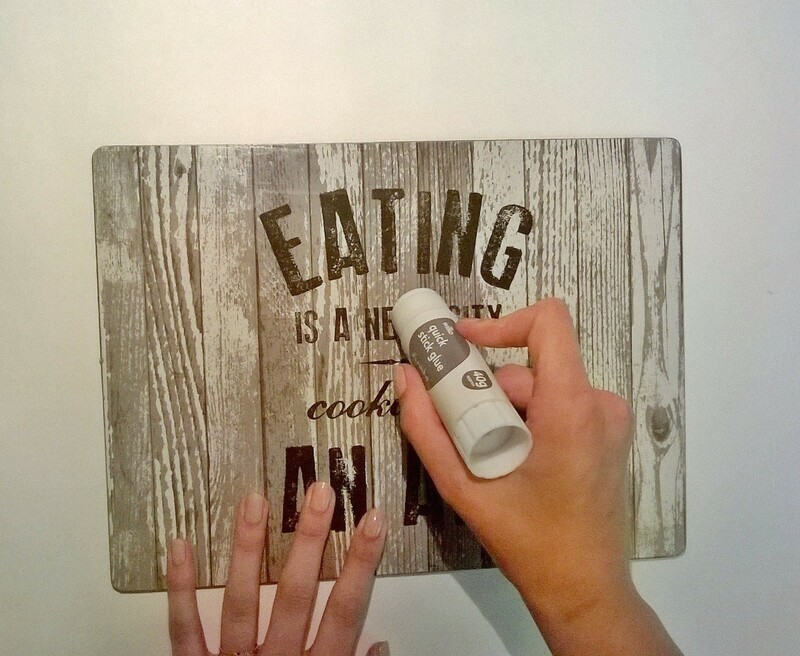 If your placemats are patterned, you may wish to prime your placemats (by simply glueing white card onto your placemat and trimming any excess) before embarking on this step – this will prevent pre-existing patterns showing through the wrapping paper. 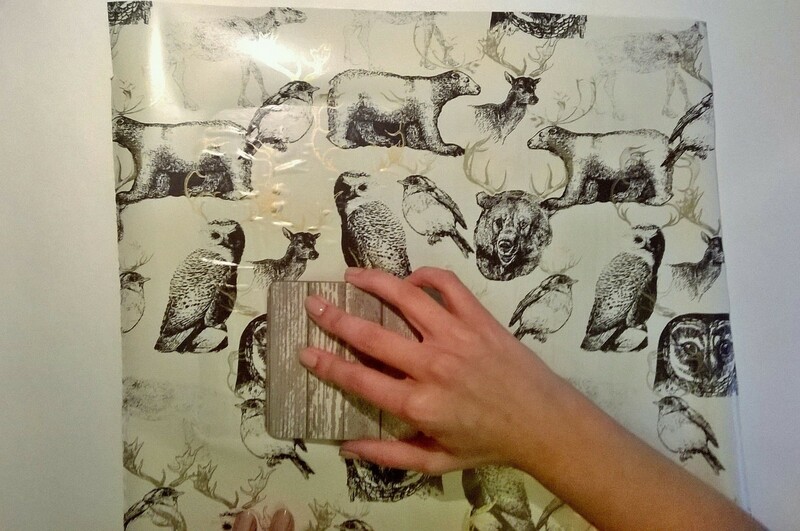 Since my placemats had a woodgrain finish which complemented the woodland print of the wrapping paper, I skipped this step. 3. Using a coaster, smooth the paper gently to remove any air bubbles. 4. Turn your placemat over, so the cork is facing upwards. Trim the paper, leaving a margin of approximately 1 cm. 5. Turn your placemat back over so the wrapping paper is facing upwards. 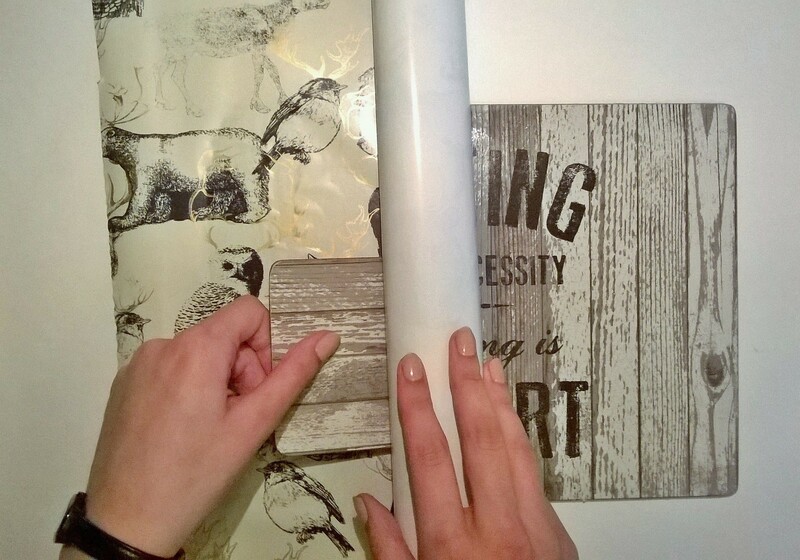 Cut a length of sticky back plastic – this should be large enough to give your wrapping paper margin a sticky plastic margin of its own. 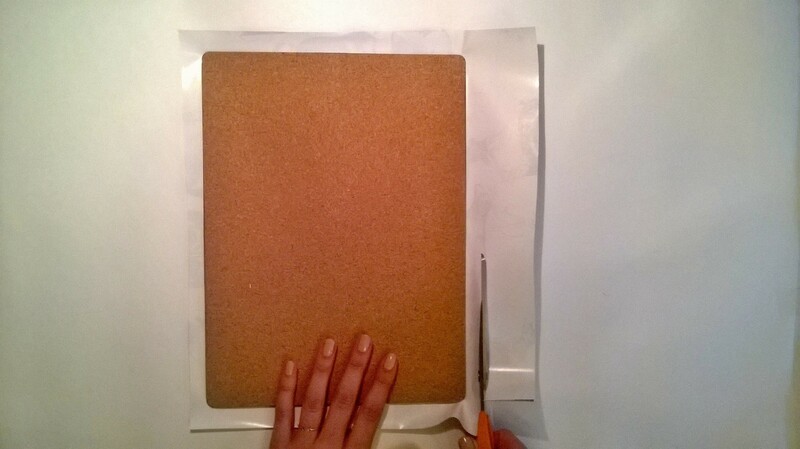 Remove a small part of the paper back, and affix the sticky plastic to your placemat. Using a coaster, gently and slowly press the plastic into position. If you apply too much pressure or move too quickly, it is unlikely you will be able to fix any creases or air bubbles that arise. 6. Turn the placemat over once more so the cork is facing upwards. Pull the sticky plastic back on itself so that it sticks to the cork, as if you were wrapping a gift. Continue to do so on all four sides. Voila! Your placemats are now waterproof and ready to use. 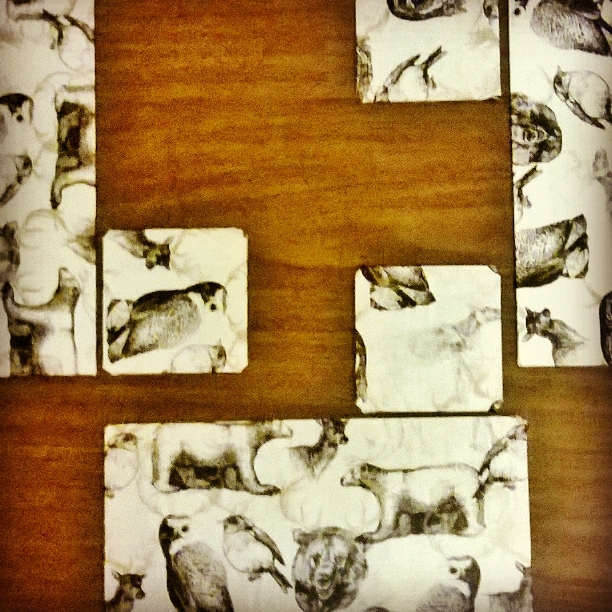 I proceeded to make matching coasters following the same steps.